Brick Kiln Road in Crisfield in Maryland is one of those quiet places that you can drive by a thousand times without noticing. The short stretch of road is home to a small fishing boat harbor, a public beach and not much else of consequence - but, like most small quiet places in the world, if you take the time to get to know the place there are wonders to be found. Four Seasons on Brick Kiln Road is my humble attempt to capture the beauty of this small corner of the Chesapeake Bay. The final draft is being made freely available in the hopes of introducing people to the natural beauty of one small corner of the Chesapeake Bay. Open banjo instruction -- pickers needed! Patrick Costello, a hero of public-spirited music education, has launched The Old Time Banjo Project with some of his students. He's looking for banjo-pickers to help record instructional videos that teach the instrument from total n00b to mad-skilled virtuoso. To take part in the project, contact me at ask.patrick@gmail.com, choose a lesson and film a short video workshop. For example, let's say you choose to cover the C Chord. All you would have to do is introduce yourself (for example, "Hi. 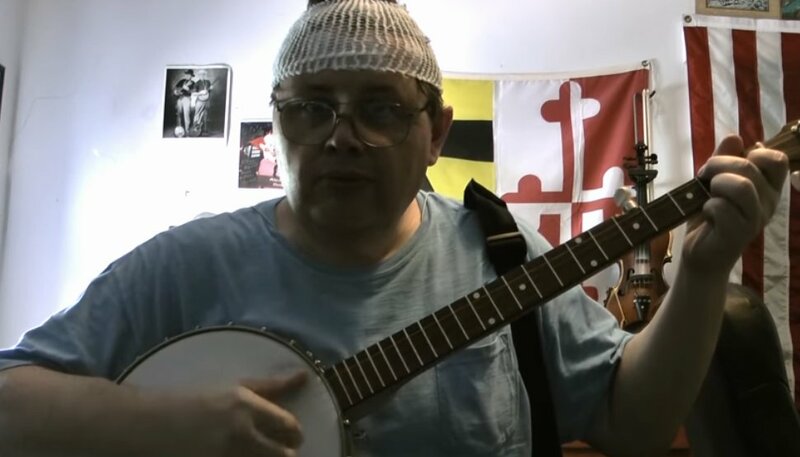 I'm Patrick from Manassas, Virginia and I am here to show you how to make a C chord") and walk the viewer through the steps of making a C chord on the banjo. You don't have to be an expert. If you are worried about teaching a specific technique think about doing something simple like covering how to attach a banjo strap or how to make a D7 chord. Once you have filmed your workshop, upload the video file in the highest quality format you can to the Internet Archive. We have been hosting folk musician retreats for the last couple of years here in Crisfield, Maryland. The idea is to bring musicians together in a funky old house on the banks of the Chesapeake Bay to jam and share ideas. From our very first event we have been able to draw musicians from all over the world and the mix ranges from rank beginners to seasoned professionals. When we started the project we were charging a registration fee to cover food and lodging, but as the event started to grow we realized that we had to rethink how we running things. For our last retreat on September 17-20 2009 we decided to take a risk and make the event free - food, lodging and access to the event all at no charge. We simply passed the hat and asked folks to contribute what they could to keep the event going. (Canada Goose Records has released a soundscape of our April 2009 Retreat under a CC-license.) This probably won't surprise you, but we wound up bringing in enough to cover a good deal of the expenses for our next retreat on May 6-9 2010. So we are going to continue running the Crisfield Folk Musicians Retreat as a pass-the-hat funded event. Four days of amazing music, fellowship, good food and amazing scenery for whatever you can afford to throw into the hat. 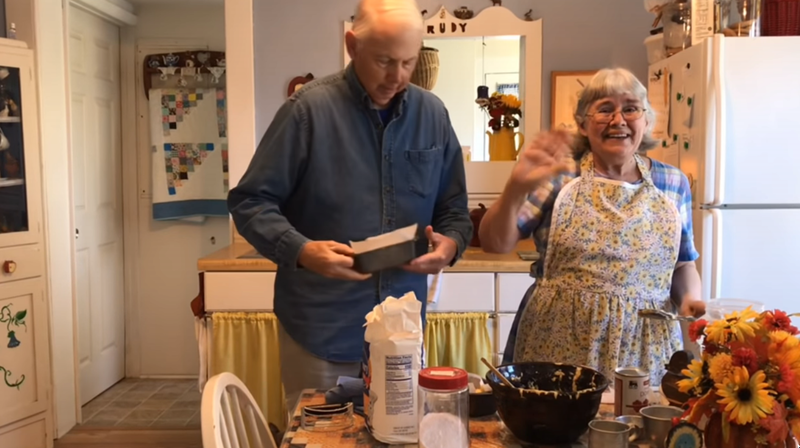 A reader writes, "Patrick Costello - you have posted about his work as an open source banjo teacher several times - is having surgery this Thursday at Johns Hopkins to install a BAHA implant so he can continue teaching." Patrick is the king of open-source banjo teaching, a public-spirited saint who teaches and produces teaching materials on a free/open basis. The BAHA is an implanted hearing aid that will be fitted as part of a surgery to relieve an excruciating bone infection. Patrick Costello, the travelling open-source banjo instructor, sez, "A visually impaired banjo player in the Netherlands contacted me the other day asking for help. He wanted a way to use banjo tab with his Braille display. Tab, or tabulature, is different from music notation in that tab gives the user specific mechanical instructions -- literally, 'put your fingers here'. With a folk banjo style like frailing students usually learn the mechanics of playing long before they dive into music theory so access to tab is a big deal for beginners. With some input from Ruud I was able to come up with a simple system that he would make sense in Braille. I posted information on the new tab system on my web site, and musicians from all over have started to transpose frailing banjo songs and exercises into this new format." I am the author of several of CC-licensed music books including The How and the Tao of Old Time Banjo, A Book of Five Strings and The How and the Tao of Folk Guitar. The Creative Commons concept has worked pretty well for us in terms of book sales over the last three years so I have decided to make my services as a music teach available under the same concept. I have posted a .pdf file on my blog stating that I am available for lessons or workshops on an expenses-only basis. Right now there are groups in the UK and Australia working on setting up workshops - but I'm also hoping that we'll get some gigs closer to home. I promised myself not to buy a banjo, since I already have five ukuleles in the house, but these books could break my willpower. Darel Snodgrass says: "Old-time music is a fast-growing segment of the folk music performance hobby (mostly because it's actually pretty easy to play, unlike, say, bluegrass). Old-time banjo enthusiasts often start with two modern seminal teaching works, "The How and the Tao of Old-Time Banjo" and "A Book of Five Strings" (check any book-sales site for rave reviews). These are best-selling, in-demand books, admittedly within the small world of old-time banjo instruction works. The author, Patrick Costello, has just released both books under a Creative Commons license, and made web versions of both available for free on the ezfolk web site."